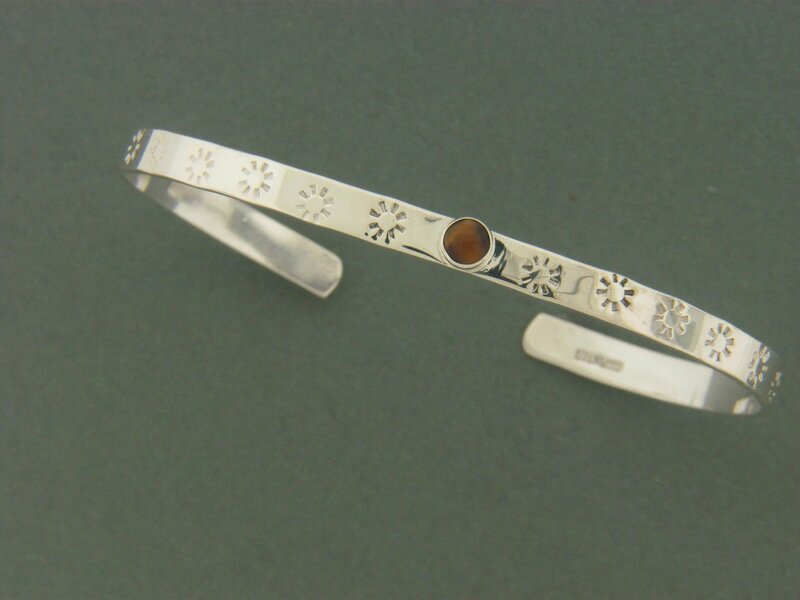 Handcrafted sterling silver handcrafted .925 flat thin cuff with design. Also available smooth or hammered. Shown with a star burst design and a 4 mm tiger eye round stone.